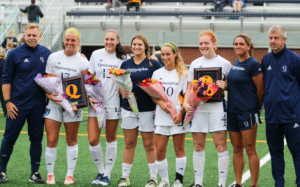 The Quinnipiac women’s soccer team had its way with Niagara in a 4-0 victory on Saturday afternoon’s Senior Day game in Hamden. Quinnipiac improved to 7-6-2 overall and 4-2-2 in the MAAC with the win, while Niagara fell to 6-7-2 overall, 2-5-1 in the MAAC. The Bobcats were coming off a disappointing 2-1 loss at Iona on Wednesday, Oct. 11 in which Iona picked up its first MAAC win of the season. Prior to the match, seniors Carly Glaser, Jillian Consolini and Laura Nicholas, as well as graduate students Sarah Pandolfi and Emma Greco, were honored with their families. Just a minute and a half into the game, Glaser found herself on a breakaway, but Niagara goalkeeper Sabrina Locas made the save. Locas made another sprawling save to her right on a shot by Quinnipiac junior forward Al Pelletier less than four minutes later. With 34:45 remaining in the first half, Glaser broke through and scored her first goal of the season. Locas ran out of the box to retrieve the ball and kick it to a teammate, who then lost the ball, leaving Glaser a clear shot. Locas dove for the save, but was unable to recover in time and save the shot. Just one minute after the Bobcat goal, Niagara made its first true challenge of the day. Quinnipiac junior defender Katrina Friedman, sophomore goalkeeper Olivia Myszewski and Niagara forward Eva Bachmann got tangled up in the box, and Friedman was given a red card. As a result, Bachmann received a penalty kick. Myszewski jumped to the right, but Bachmann fired the ball off the left post, keeping the game at 1-0. 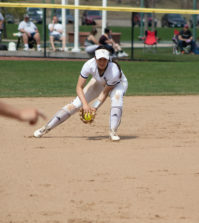 Despite being one player down for the rest of the game, Quinnipiac kept the ball rolling. The Bobcats added two more goals in the first half, one scored by Pelletier, her fifth of the season, and the other on a penalty kick by junior midfielder Nadya Gill, her team-leading 11th of the season. The second half was more of the same for Quinnipiac. Pelletier added her second goal of the game just 35 seconds into the second half. Gill picked up her second assist of the game on Pelletier’s goal as well. Next up for Quinnipiac is a home battle with Manhattan on Wednesday at the Quinnipiac Soccer Stadium. It will be the final regular season home game of the year for the Bobcats. 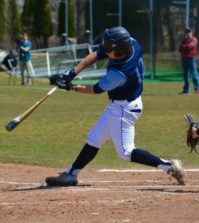 With just two games left until the MAAC Tournament in Kissimmee, Florida, Quinnipiac knows now is the time to step up.